The Online CEVNI test costs £29. Anyone requiring an ICC valid for inland waters must pass the CEVNI Test. The RYA online CEVNI test is a short multiple choice online paper that you can take remotely from your own home or indeed from anywhere in the world. 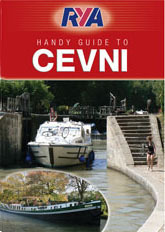 The “RYA European waterways regulations (the CEVNI rules explained)” publication G17 provides the information you need to learn the code in a clear and concise way. A sample paper can be found at the back of the book. Arranging to take the online CEVNI test. It is possible to take your CEVNI test online, anywhere, anytime as an alternative to the paper-based test. When you purchase the online CEVNI test, you have unlimited practise tests before taking it for real and your score won’t be recorded. When you feel ready to take the real test, the online CEVNI test will be displayed. Once you have completed the online CEVNI test, you will be told immediately whether you have been successful or not. Follow the on-screen instructions for details of how to get your ICC validated for inland waters. Accessing the online CEVNI test is simple! – Click below, purchase the course and we will provide you with your login details. You then log on to the course and enter the Username and Password we have supplied you when you purchased the test and then you are up and running! If you don’t have access to the internet and wish to arrange to take a paper based test, contact SAILTRAIN and we will arrange for you to attend our premises where you will be able to take the test. In addition to the passing the CEVNI test, for an ICC to be issued you must present a qualifying RYA practical course completion certificate or pass an ICC practical test and be eligible to be issued with an ICC. Is also a great reference source when left onboard.